My name is Karen Murphy and I have been a Master Beauty Operator in PEI for a number of years. 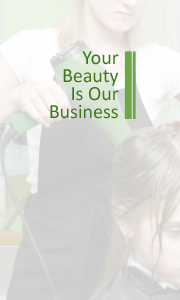 I own and operate 150 One Salon in Charlottetown. I am an Islander and like all of you I am very busy with work and life. I love my profession and the positive impact it creates on people. Unfortunately; I know very few of my fellow professional hairdressers in our beautiful Province. I would like to try and change this by hosting a social evening at my salon. An opportunity to meet other professional hairdressers, share some stories, have a few laughs and demonstrate some of our skills. I suggest having a social evening the second Thursday of each month starting in November with a suggested starting time of 7:00 pm. I suggest each evening could have a theme so that we could demonstrate our skills. I suggest the theme for November would be “BOBs”. My salon can accommodate eight (8) hairdressers. If other salon owners would like to host this event at their salon in the future, that would be fantastic as well. I would love to get to know you. Have some fun and learn from each other. If you have interest, please contact me at 902-894-2662 or by email at kjmurphy65@gmail.com. We invite all members to mark September 24, 2018 in your busy schedules and come join other Island hairdressing professionals to celebrate and share in the value our industry provides to all Islanders. 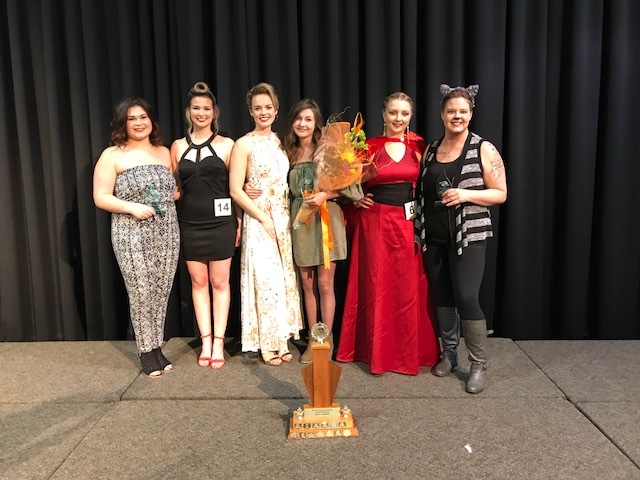 On April 29, 2018 the PEI Hairdressers’ Association hosted the Total Look 2018 Competition at the Rodd Royalty Inn in Charlottetown, PEI. Fourteen student hairstylists showcased their knowledge, skills and professionalism. A special thank you to our suppliers of beauty product gift baskets for draws during the competition. Thank you for your generosity in helping others. Come join us on April 28, 2019 for another spectacular show. Eighty two (82) members registered for the annual meeting of the Association on September 25, 2017 at the Loyalist Country Inn and Lakeview Resort in Summerside. 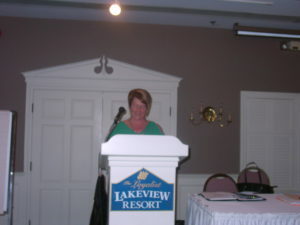 President Melissa Gallant called the meeting to order and chaired the proceedings. Executive Director Gerard Dougan provided a review of the audited financial statements for fiscal year ended August 31, 2017. Mr. Dougan reported the Association experienced strong financial performance during the year with net operating surplus of $3,370. 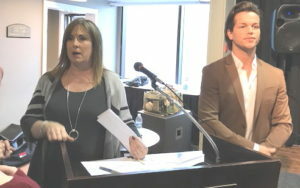 for a total unrestricted net assets of $97,039..
Ms. Angela Bailey; Ms. Lynn Smith; and Mr. Ed Arsenault. 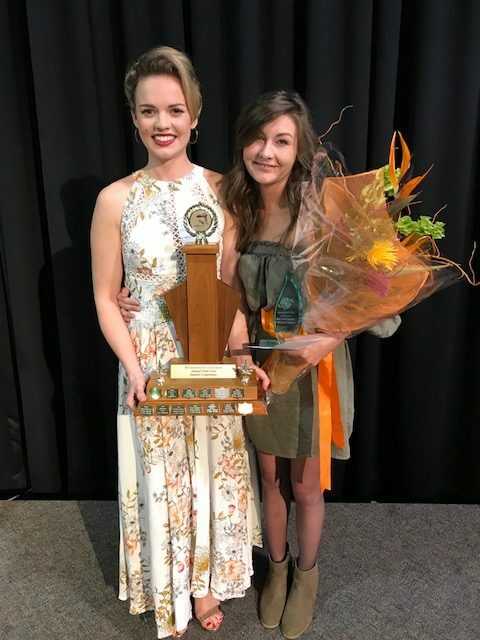 Annually the Association recognizes members who have reached the milestone of twenty-five (25) years of dedicated service to the hairdressing industry in the current year. Ms. Linda Arsenault; Ms. Lisa Aylward; Ms. Marie Caseley; Ms. Shelley Chaisson; Ms. Cindy Dunn; Ms. Janice Kelly; Ms. Waneta Lipsett; Ms. April MacDonald; Ms. Michelle MacDonald; Ms. Kendra MacIntyre; Mr. Bashir Mayaleh; Ms. Joy Murphy; Ms. Kelly Scott; Ms. Lori Swayne; Ms. Karen Wallace; Ms. Angela Wood. Congratulations to all these special members who have provided quality and professional hairstyling services to many Islanders over the past twenty-five (25) years. Work well done ! During the meetings draws for various gifts were made. A total of forty (40) draws were made.